A former dustman has amassed one of the Britain's best collections of First World War photographs after spending decades rescuing them from rubbish tips and bins. Bob Smethurst spent 36 years working as a refuse collector and began saving the remarkable pictures during the 1970s. He believes as soldiers from the conflict grew old and passed away a lot of their remarkable pictures and memorabilia was often thrown out especially in the 1970s and 1980s. Over three decades Mr Smethurst made it his mission to try and save anything he spotted which otherwise could have been lost forever. Mr Smethurst, from Sussex, now has more than 5,000 photographs capturing everything from the horror of the trenches to haunting images of young friends smiling together before battle. As well as being an amazing national record of the 1914-18 conflict, his collection could also be worth thousands as just one picture can sell for as much as £30 to collectors. Mr Smethurst, who considers himself a custodian of the collection, said the value for him was in saving something so important which could otherwise have never been seen again. 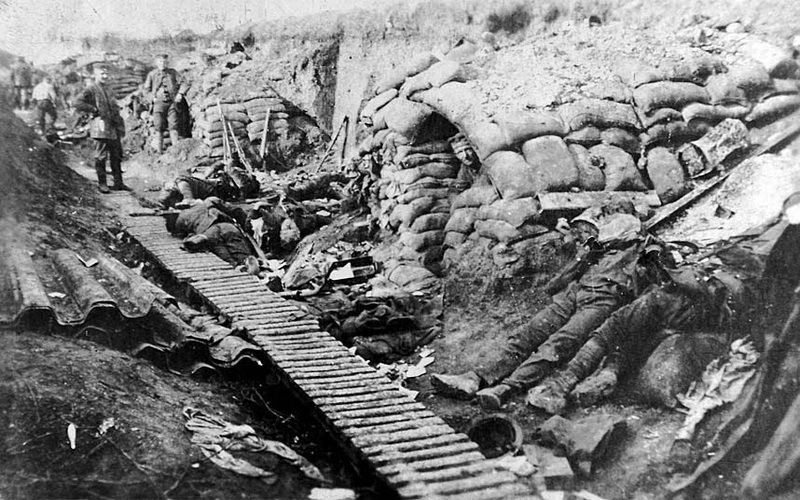 "I found the majority of the photographs on the 'dust' during the 70s and 80s when those who fought in World War I were probably passing away. "Probably the boys working today will find them from World War II. "In the early days we used to carry the bins on our shoulders. Therefore, when we emptied the bins you used to see the paperwork coming out, and the photographs. "You didn't find them all the time because the only time you were aware of some was when they started to be mashed up. "We had relatives that died in both the First and Second World War and of course it means something to keep these memories alive. "There is nothing like being able to pick up and examine an object or picture, see it with your own eyes, understand how it works and was used. If everything is thrown away future generations will not be able to have this joy or knowledge. "I've got photographs from the trenches, photographs from Commonwealth Indian regiments and pictures from the Germans. "The German soldiers used the pictures almost like postcards, they would write their unit and even where they were and when. The British side weren't allowed to do that. "The trouble is, if it is donated to a museum most things will never be seen again, just stored and forgotten and no joy to anyone." Mr Smethurst said his collection also included memorabilia such as medals, letters and even a handkerchief with a bullet hole in it had been found in the rubbish. He said: "I have a long photograph like the kind that would have been in a frame hanging on a wall of a complete squadron of the Royal Flying Corps - it was just lying on the landfill. "In another there's some soldiers posing with a massive naval gun - it turned out the picture was actually taken by a photographer from near my home. "I actually found some letters that were just with some papers in a bin. They were designs for the memorial plaques for medals killed in the war. "Having been to auctions and postcard sales these kind of photographs used to go for 20 to 50p in the old days. Now if you have something like a picture of a tank or something else it can go for £30 each." 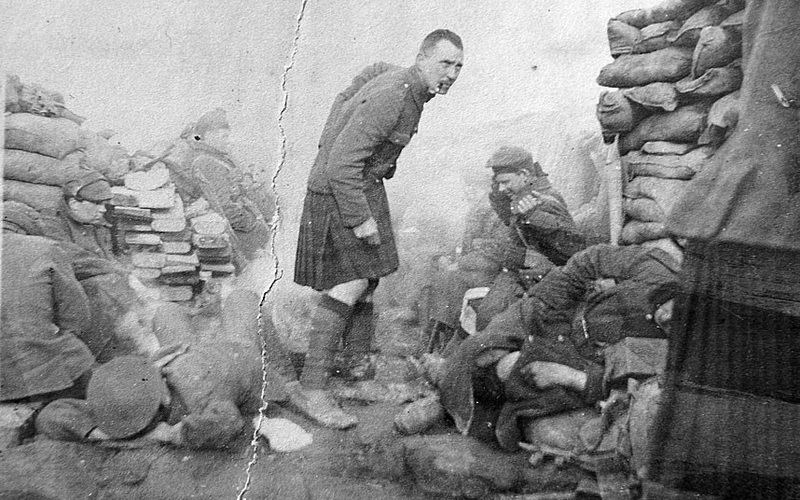 Mr Smethurst said the treasure of his collection was a series of photographs of the London Scottish regiment, which fought a battle at Messines in 1914. No other photos of the regiment were previously known to exist. When he discovered his first letter, Mr Smethurst said: "I looked at it, I thought it was interesting - this was the first world war. "Once I've undone it, I found out the chap was killed in action. This was his last letter. I thought well hang on a minute, you can't throw that sort of stuff away." 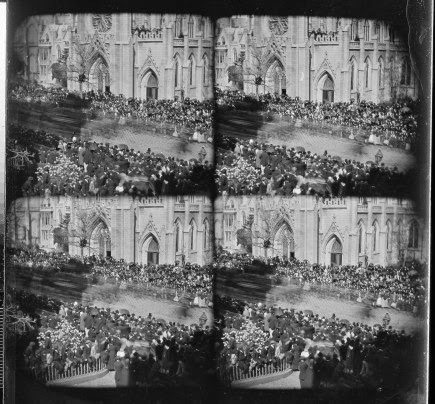 News---Two Images of Lincoln's Funeral Procession In NYC Found, Maybe. Maryland Man May Have Found Two Lost Or Forgotten Photos Of Lincoln’s Funeral Procession, Michael E. Ruane, Washington Post, March 19, 2014. In the first photograph,the crowd outside the church seems to be waiting for something to come down the street. Children stand up front so they can see. Women, in the garb of the mid-1800s, shield themselves from the sun with umbrellas. White-gloved soldiers mill around. And a few people have climbed a tree for a better view. In the second shot, some heads are bowed. Men have taken off their hats. And the blur of a large black object is disappearing along the street to the left of the frame. What the scene depicts, why it was photographed, or where, has been a mystery for decades, experts at the National Archives say. But a Maryland man has now offered the theory that the two photos are rare, long-forgotten images of Abraham Lincoln's funeral procession in New York City. Paul Taylor, 60, of Columbia, a retired federal government accountant, believes the scene is on Broadway, outside New York’s historic Grace Church. The day is Tuesday, April 25, 1865, 11 days after Lincoln was assassinated at Ford’s Theatre in Washington. And the crowd is waiting for, and then seems to be paying homage before, a horse-drawn hearse, whos motion makes it appear as a black blur as it passes by in the second picture. If Taylor is right, scholars say he has identified rare photos of Lincoln’s marathon funeral rites, as well as images that show mourners honoring the slain chief executive. Plus, it appears that the photographs were taken from an upper window of the studio of famed Civil War photographer Matthew Brady which was across the street from the church. “It’s a big deal,” said Richard Sloan, an expert on the Lincoln funeral ceremonies in New York. “What makes it even a bigger deal is to be able to study the people. Even though you can’t see faces that well, just studying the people tells a story.” Sloan added, “It’s as if you’re there, and you can see the mood.” Many people, including children, are in their Sunday best. A few look up at the camera. Flowers are in bloom. But there is no levity. But experts at the Archives caution that although the theory sounds good, there could be other explanations, and no way to prove it conclusively. The digital photographs were made from some of the thousands of Brady images acquired by the federal government in the 1870s and handed down to the National Archives in the 1940s, according to Nick Natanson, an archivist in the Archives’ still-picture unit. Next year is the 150th anniversary of Lincoln’s assassination. The two photos in question, both captioned “scene in front of church,” apparently had gone unnoticed for decades. Nearly two-thirds of the Civil War's approximately 750,000 fatalities were caused by disease--a staggering fact for which the American medical profession was profoundly unprepared. In the years before the war, training for physicians in the United States was mostly unregulated, and medical schools' access to cadavers for teaching purposes was highly restricted. Shauna Devine argues that in spite of these limitations, Union army physicians rose to the challenges of the war, undertaking methods of study and experimentation that would have a lasting influence on the scientific practice of medicine. Though the war's human toll was tragic, conducting postmortems on the dead and caring for the wounded gave physicians ample opportunity to study and develop new methods of treatment and analysis, from dissection and microscopy to new research into infectious disease processes. Examining the work of doctors who served in the Union Medical Department, Devine sheds new light on how their innovations in the midst of crisis transformed northern medical education and gave rise to the healing power of modern health science. Shauna Devine is visiting research fellow in the department of the history of medicine at the Schulich School of Medicine and Dentistry, Western University. "An important contribution to the history of medicine in the United States. Devine does a remarkable job of showing how wartime experience catalyzed and reconfigured the evolution of American medicine along scientific lines, stimulating vastly increased attention to pathological investigation, experimentation, specialization, and probing of the nature of disease. She argues convincingly that the war gave American physicians enormous opportunities to do work on native ground that only small numbers of them had previously been able to observe in European centers." "Transforming three generations of scholarship, this book changes the story of the development of the American medical profession. 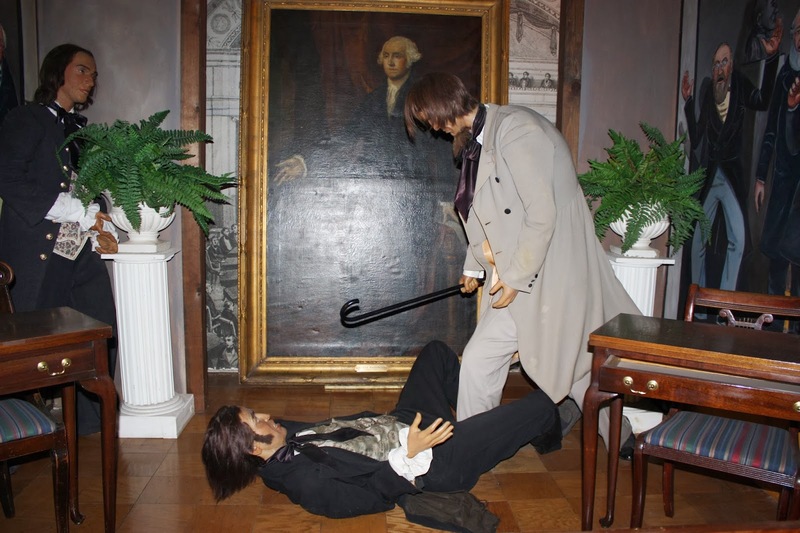 Rather than depending on the magisterial but opinionated Medical & Surgical History of the War of the Rebellion, Shauna Devine returns to the manuscript reports of the period and asks the simple question, What did the doctor do during the Civil War? She finds over ten thousand doctors dissecting--because they were ordered to, because the bodies were available during the war, and because the Army taught them how. Others went beyond anatomic pathology to do physiologic and clinical experiments. They all went home to shape an American medical science, preparing the social, political and scientific ground for the next generation of European apostles. This is the most exciting book in nineteenth-century American medical history in the last fifteen years." 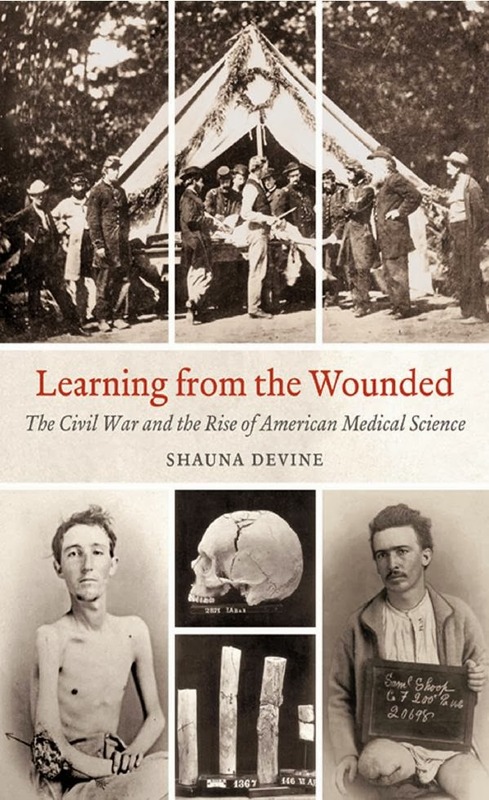 "Learning from the Wounded is more than a path-breaking study of how the American Civil War transformed American medicine and medical research. It opens a wide window onto the individual and institutional players who shaped this transformation, giving the overall story the sustained and in-depth attention it has long deserved as part of, and not apart from, the broader history of the Civil War. With this artful and engrossing achievement, Shauna Devine makes an important contribution to the field that deserves to be read by anyone who is interested in the relationship between war and society and especially in the context of medicine and science." The Historian Who Unearthed “Twelve Years a Slave”, Michael Schulman, New Yorker, March 7, 2014. Accepting the Oscar for Best Picture on Sunday—technically, it might have been Monday at that point—Steve McQueen took a moment to thank “this amazing historian Sue Eakin,” who “gave her life’s work to preserving Solomon’s book.” It was an unusual shout-out: we’re used to seeing Harvey Weinstein or God get thanked, not historians from Louisiana. But it’s safe to say that without Eakin, who died in 2009, at the age of ninety, none of us would be talking about Solomon Northup, or Patsey, or the other once-forgotten souls portrayed in this year’s Best Picture. Eakin, who taught at Louisiana State University at Alexandria for twenty-five years, spent her career rescuing Northup’s memoir from obscurity. “There were five of us, and Solomon was the sixth,” Eakin’s son Frank said the other day, from his home in Texas. “There was never a time when he was not part of the conversation.” Eakin grew up near Cheneyville, Louisiana, the eldest of nine children, and discovered Northup when she was twelve. One summer day in 1931, her father, a planter, drove her in a flatbed truck to the nearby town of Bunkie, not far from the property once owned by Edwin Epps (the Michael Fassbender character). They were visiting Oak Hall Plantation, where her father had business with the owner, Sam Haas. Haas brought young Sue to the library on the second floor (“My mom was a big-time bookworm,” Frank says), where he handed her a dusty copy of “Twelve Years a Slave,” first published in 1853. “I began reading the old book as rapidly as I could, becoming more and more excited with every page,” Eakin wrote later. “I recognized local place names like Cheneyville, where our mail was delivered.” The family names were familiar, too: the Tanners, the Fords, the McCoys. Eakin was rapt, but her father picked her up before she could finish reading. Back then, the book was in scant supply. Eakin didn’t find another copy until 1936, when she arrived at Louisiana State University and spotted the book at Otto Claitor’s Bookstore. She asked Mr. Claitor how much it cost. “What do you want that for?” he said. “There ain’t nothin’ to that old book. Pure fiction.” He sold it to her for twenty-five cents. With state funding, she developed the Northup Trail, a tour of key locations from the book. “I said, ‘Mom, I know how much this means to you.’ But I didn’t want her expectations to be unmet,” Frank said. “All you had was a bunch of rusty signs. Not many people showed up.” Nevertheless, Eakin believed that someday Northup’s story would get its due. Frank recalled going to courthouses and descendants’ houses as a child. “If she had any news of anybody that could contribute, we were off to the races in the car with the fifty-pound tape recorder and an old camera,” he said. In 1983, she even wrote a musical based on Northup’s life. Eakin spent her last years working on an expanded edition of “Twelve Years a Slave,” including the decades of research she had accumulated since 1968. But her health began to decline, and her eyesight was poor. Frank’s sister helped her edit the new version, and, in 2007, at the age of eighty-eight, Eakin published the enhanced edition, with maps, pictures, and historical notes. She wrote in the acknowledgments, “Now Solomon and I can rest.” Two years later, she died. The American Civil War Wax Museum is selling the contents of the building on Saturday March 15. The auction is located at the building which is being renovated. The museum will re-open with a focus upon Adams County civilians during the Gettysburg campaign, and the Underground Railroad. The location of the building is upon the land of the northern most portion of the July 3rd Grand Assault, also known as Longstreet's Attack and Pickett's Charge. The small theater which contains the Pickett's Charge exhibit will remain. For sale are wax and vinyl figures, the scenery within the small exhibits, oil portraits, tapestries, furniture, books, tinware, uniforms, and weapons. Forthcoming--Was The American Civil War A Living Hell? 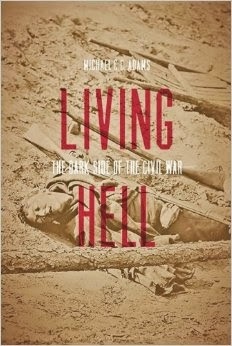 Living Hell: The Dark Side of the Civil War, Michael C. C. Adams, Johns Hopkins University Press, 304 pp., 2014. Inverting Robert E. Lee's famous line about war, Adams suggests that too many Americans become fond of war out of ignorance of its terrors. Providing a powerful counterpoint to Civil War glorification, Living Hell echoes William Tecumseh Sherman's comment that war is cruelty and cannot be refined. Michael C. C. Adams, Regents Professor of History Emeritus, Northern Kentucky University, is author of The Best War Ever: America and World War II, published by Johns Hopkins, and Our Masters the Rebels: A Speculation on Union Military Failure in the East, 1861–1865, winner of the Jefferson Davis Prize for the best Civil War book, awarded by the Museum of the Confederacy. New And Noteworthy: Appomattox--A Defeat? A Victory? The End of The War? 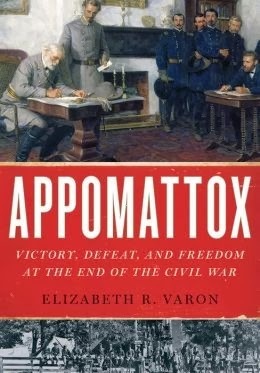 Appomattox: Victory, Defeat, and Freedom At The End Of The Civil War, Elizabeth R. Varon, Oxford University Press, 2014, 305 pp., 1 map, 33 b/w illustrations, end notes, index, $27.95. Francis August Schaeffer, a 20th century American theologian, philosopher, and pastor, held to a particular approach to answering the questions of the age. His illustration of ‘the universe viewed from two chairs’ promoted the examination of worldviews. Appomattox: Victory, Defeat, and Freedom At The End Of The Civil War, offers a discussion of two worldviews; one typified by Robert E. Lee and one typified by Ulysses S. Grant. In popular culture, ‘The Brothers War’ comes to an end at Appomattox Courthouse, April 9, 1865. The very dignified Robert E. Lee surrenders to the very muddy Ulysses S. Grant. Lee is accompanied by one other staff officer; Grant brings about a half dozen generals and their staffs. At the surrender ceremony Lee, like during the war, is vastly outnumbered. Varon’s work views the surrender ceremony from two chairs: Lee’s and Grant’s personal interpretation of the surrender. For Varon, Grant’s terms for surrender created one spirit of Appomattox; Lee’s interpretation of the terms created another spirit of Appomattox. Grant’s view understood the surrender as offering reconciliation; Lee’s view understood the surrender to recognize that he was overwhelmed by numbers but unbowed. Lee felt Grant understood this. Grant’s terms were not his usual unconditional surrender terms; Lee’s soldiers left the surrender site with some of their arms, their horses and food in their stomachs. Grant’s and Lee’s understandings are contested by Andrew Johnson, northern Peace Democrats and Copperheads, moderate Republicans and radical Republicans, the war’s white and black veterans. Should Reconstruction become the war waged by non-military means and achieve a racial reformation of the South? Varon states and supports the argument that war left most questions set forth in 1860 unanswered and created new problems. The author is explicit in stating that the political problems of 1860 were not solved upon the surrender of the Confederate armies. Both Lee and Grant believed they transcended politics on April 9, 1865. For northern soldiers and politicians, individual courage and God’s cause of justice won the war. For southern soldiers and politicians, individual courage and the rightness of their cause was not enough to fend off the immigrant hordes in the Federal army which supplied by the North’s vast agriculture to deliver food and industry’s capacity to deliver armaments. The familiar story of Appomattox is opened up by Varon and in it she sees a variety of interpretations which the participants held. The author offers both an event based and a worldview based telling of the surrender and its immediate implications. Confederate, Federal, and African-American veterans, civilians, and politicians on both sides are well described in their own words. Using a narrative style that is accessible to most readers, Varon presents both worldviews with sharp details. Appomattox: Victory, Defeat, and Freedom At The End Of The Civil War is superb. Sue Eakin Thanked Onstage At Oscars For Work Verifying Story Of ‘12 Years A Slave’, Kyle Peveto, The Advocate, Baton Rouge, Louisiana, March 5, 2014. A Louisiana historian who dedicated decades to researching the 1853 book “Twelve Years a Slave” received international attention Sunday when the film based on the book won the Academy Award for best picture. During his acceptance speech, the film’s director thanked Sue Eakin, a Rapides Parish native and historian whose research for the 1968 LSU Press edition of the book helped prove the veracity of the story of Solomon Northup, a free man who was kidnapped and sold into slavery. “I’d like to thank this amazing historian, Sue Eakin, whose life, she gave her life’s work to preserving Solomon’s book,” director Steve McQueen said while accepting the Oscar. “Twelve Years a Slave” tells the firsthand account of Northup, who was kidnapped, enslaved at plantations in central Louisiana and freed to return to his family. Eakin was 12 when she read an original edition of the book in the early 1930s. She found her own copy at a Baton Rouge bookstore when she entered LSU in 1936, according to an essay she wrote later in life, and dedicated her graduate studies in history at LSU and at the University of Southwestern Louisiana (now University of Louisiana at Lafayette) to researching the book. She died at 90 in 2009. “I think it’s vital that everyone understands it’s a true story and there’s a lady from Louisiana who spent her lifetime dedicated to authenticating it,” said her son, Frank Eakin, of The Woodlands, Texas, who broke into tears when McQueen mentioned his mother from the stage. “The very last thing I expected was that recognition,” he said. When the book was published in the 1850s, it became a popular best-seller, said Raphael Cassimere Jr., a retired professor at the University of New Orleans. “Timing was bad, because even though it sold 30,000 copies, which was a lot for a book, it came out a year after ‘Uncle Tom’s Cabin’ and it kind of was forgotten for some time, except by local people,” Cassimere The Advocate in October. Some locals regarded Northup’s book as fiction when Sue Eakin first read the memoir. Sue Eakin, who commuted to Baton Rouge from her home in Bunkie to complete her master’s degree in the 1950s and 1960s, researched the people and places mentioned in Northup’s memoir of enslavement at plantation in the Bayou Boeuf area. In the 1960s, she began working with Joseph Logsdon, a professor at LSU-New Orleans, now the University of New Orleans, to create a scholarly edition of the book. Filmed at south Louisiana plantations and in New Orleans, “12 Years a Slave” earned $50 million worldwide and won three awards Sunday. Lupita Nyong’o won best supporting actress for her role as Patsey. Screenwriter John Ridley, who said in media interviews he leaned heavily upon the LSU Press edition of the book, won best adapted screenplay. Logsdon and Eakin continued researching Northup’s story after their 1968 edition rescued the book from obscurity. When Logsdon died at 61 in 1999, he was planning a trip to New York to investigate Northup’s mysterious disappearance, Cassimere said in October. Descendants of the slave owners and other characters in the book approached her with archives of family history while she taught history at LSU at Alexandria, Frank Eakin said. Sue Eakin published her final annotated version of “Twelve Years a Slave” in 2007 when she was 88.